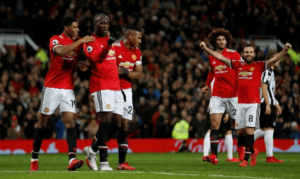 Major League Soccer is the premier North American soccer tournament and has sports fanatics on the edge of their seats from March until December. The league boasts some of the best local and foreign names and continues to grow with new additions. The race for the Major League Soccer Cup promises to be as exhilarating as ever. It’s quite unbelievable to think that out of all the possible matchups, Seattle Sounders and Toronto FC have faced off in the league’s centrepiece event in 2016 and 2017. Atlanta United FC and the Portland Timbers broke up the spell in 2018. Who do you think they will lead the MLS again in 2019? The 2019 edition of the Major League Soccer kicks off in March and features a season that consists of 34 matches per team. In addition, a postseason that features top six sides from every conference. It sure is a long road to the Major League Soccer Cup final, which is usually hosted on the first Saturday of December. Also, with new additions, possible injuries and deferrals contribute to betting odds throughout the season. It’s very hard to choose a winner this early! The futures market is good if you believe that one of the strangers are going to surpass expectations in this year’s championship. While Toronto FC was truly a favourite in 2018 after a2017 victory (a season in which all kinds of records were set) their +350 odds did not provide ample value considering they have entered 2017’s postseason at the odds of +250, and there is less risk in choosing a team that is already in the playoffs. You might be asking yourselves; which teams stand a chance of winning this season’s tournament? With the addition of LA FC to the league, it means that there are 23 teams making it harder to select a winner. 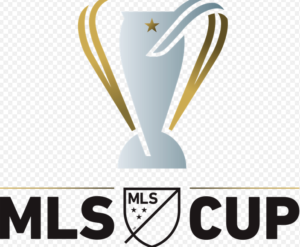 After winning an unparalleled domestic treble in 2017, Toronto FC had the best chance of winning the MLS Cup in 2018. Americans who placed a future bet on Atlanta United (+800) all received big payouts with their victory in 2018. The team might have started the year with one season of MLS experience, yet they did prove that they have the team and fan base to contest with more experienced side. Wagering on futures represents a parting from the popular type of betting, which involves betting on a single game or threading together a number of wagers into an accumulator. Predicting the result of long-term tournaments, such as the Eastern Conference championship, MVP, MLS Golden Boot winner and Supporters’ Shield requires a solid understanding of the league, as well as a bit of luck. For Major League Soccer Cup futures, the odds for every team are comparatively high, even for the teams that are favourites. Winning a Major League Soccer Cup is very difficult even for the top sides, so the payout you get when you win your futures wager tends to be more profitable than less determined types of betting.